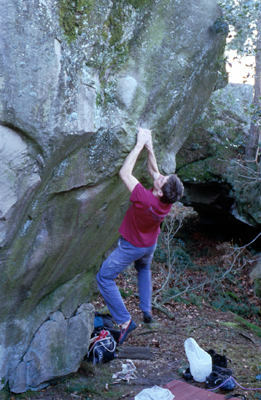 On the North ridge, between red n°15 and red n°16. 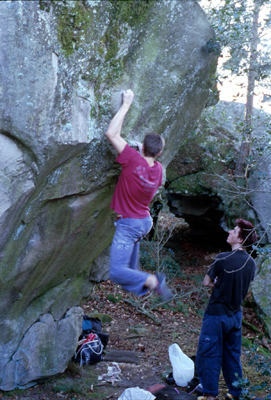 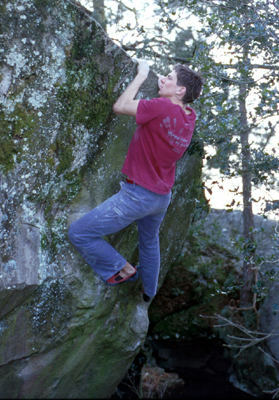 Jump start, climb the overhang with big horizontal holds and exit by a mantle above. 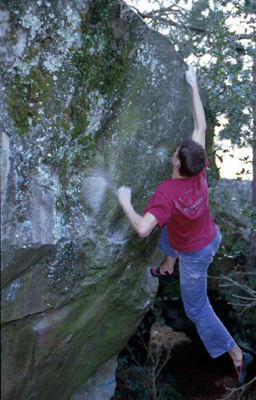 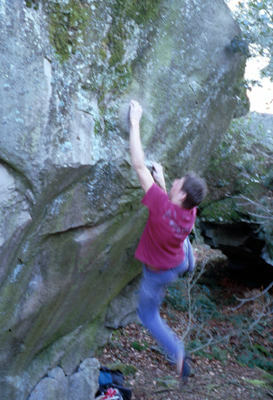 Happy new year Neil;lot of good boulder for 2009!